South Central Industries, Inc is a proud provider for the Oklahoma State Use Program. 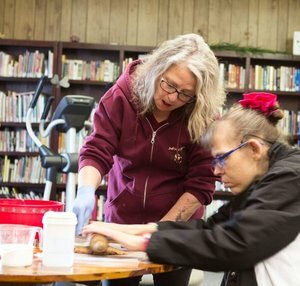 This program allows SCI to provide employment and job training to individuals with disabilities. All purchases from state agencies, companies and individuals employ these individuals with disabilities and reduces the need for state and federal funding. Online ordering is now available!! Just click on the link below. ** If you would like to print a copy of our brochure, please click here. South Central Industries, Inc. now offers a full line of janitorial chemicals. Click on images for the Safety Data Sheet links. South Central Industries, Inc offers a wide variety of plates, cups, napkins and food storage containers ranging in size, number of compartments, laminated or non-laminated or accommodation of hot or cold beverages and meals. As the sole provider of the State Wide contract that houses the MMCAP Drug and Alcohol Testing and Services, South Central now offers drug testing kits including the following: panel dips, iCups, EZ Cups, ToxCups, iScreen Oral Fluid Devices, Oratect Oral Fluid Devices, and Breath Alcohol tests. To access the Learning Xchange training portal login, please contact tanya@southcentralind.com for username and password. These tasty treats for your four-legged furry friend are handmade by our individuals with disabilities. They are made of all natural ingredients including: Whole wheat flour, rolled oats, dried molasses, ground cinnamon, and ground ginger. There are 10 tasty treats per bag for only $1.00!